It has been proven over time how sports strategies can be used by many other disciplines. An eagerly anticipated event on the cricketing calendar was the ICC Champions Trophy. An underdog in terms of its rank went on to win the championship, beating top cricketing nations to offer a lesson to the world. In fact some called it the new ethos that the world needed to pick up given the challenging conditions that the world is operating in. Let me identify the strategies that Sri Lankan can adopt. Pick up for Sri Lanka: Let’s accept it, as of now the Government has lost its grip on leading the country, be it the movement of ministers to new responsibilities or even the movement of Government paid secretaries. The social fabric of governance and service to society has fallen apart with corruption being rampant and basic services like garbage collection not being rendered. While media reports highlight the chaotic situation in the country, Sri Lanka has been faced with more challenging times than this such as the economic collapse after 2001, the devastating tsunami in 2004 and the fourth Eelam War in 2008/2009. Sri Lanka has pulled itself out of each of these calamities to rise above the rest. Even today Sri Lanka will emerge from its current situation. It’s all about having one person who can reposition the country. 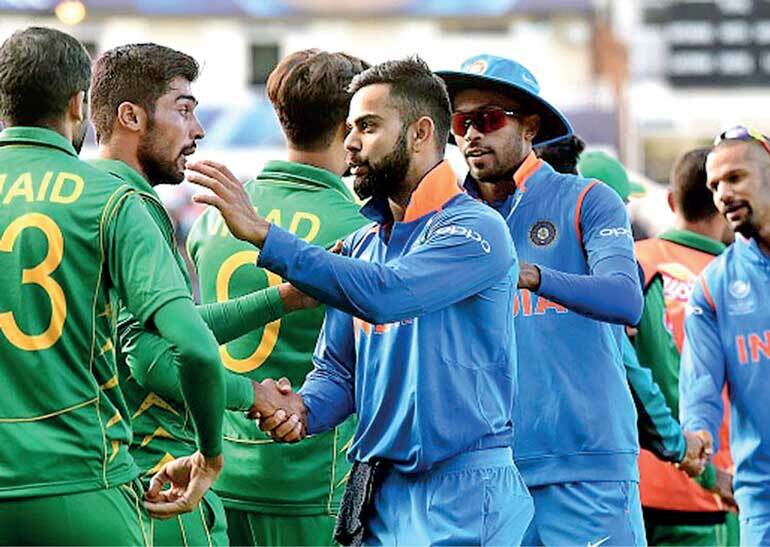 The biggest mistake that happened in the final occurred when Indian ace bowler Jasprit Bumrah took the wicket of Pakistani match-winner Fakhar Zaman off a no-ball. The latter had started his long walk back to the pavilion when the umpires called him back. Fakhar went on to score a match-winning 114 that took the game away from the top-ranked Indian team. Pick-up for Sri Lanka: While overall tourism industry revenue has registered a 44% growth to cross $ 3.5 billion, the 12-month performance of top hotel chains of Sri Lanka registered a lower performance than last year and the ROCE is below 8%. This has to be addressed with new product development at a national level and a strong communication campaign to position the country and attract the top-dollar tourist. While the strategy has been at play for two years, sadly its implementation has not hit the marketplace. Now corporates have no option but to re-strategise and move to the boutique hotel segment and strip its assets to a new business model. Policymakers need to understand this reality with numbers at least now before we get no-balled globally on tourism. The Indian Captain came into the final with an astonishing batting average of 253 runs, having only been dropped once in the last four matches. When he was dropped by Azhar Ali on Thursday he got a second chance in life that he could have capitalised on. But unfortunately he lost out and lost his wicket the next ball. This was the turning point of the game for the archrivals to trounce the Indian attack. Pick up for Sri Lanka: While we are jubilant about the GSP plus that was secured for the Sri Lankan export industry, what many are forgetting is that the incremental revenue to $ 10.3 billion export revenue will be $ 481 million, which means approximately taking us to a total of $ 11 billion. If we are to be serious about this industry we must cross the $ 20 billion mark by 2020, which will need serious policy changes. Sadly we are well below in this regard given that supply chain development is the key issue. 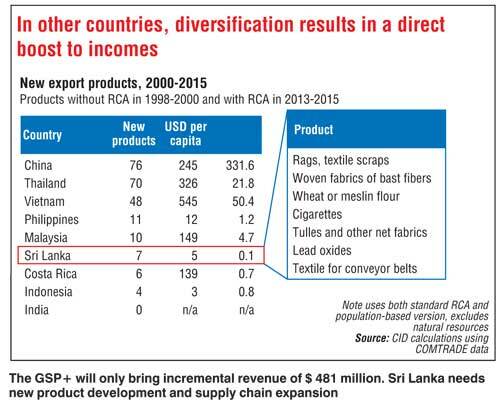 All the new FTAs can open up new markets but the issue for Sri Lanka is supply chain expansion. This has to be addressed or we will lose the key entity that has been scoring the runs so far. Pakistani Mohamed Amir - whose role in the 2010 match-fixing saga was proven, leading to him having to serve a jail sentence at UK prisons - produced a devastating opening spell that removed Rohit Sharma (0), Shikhar Dhawan (21) and Kohli (5), setting the stage for Pakistan to win the 2017 championships and showing the world that a player can come back stronger and become a world beater. Amir’s amazing numbers were six overs, two maidens and 16 runs for three wickets. Pick up for Sri Lanka: The most challenging segment of Sri Lankan exports is the tea industry. The challenge, mainly due to market conditions and poor policymaking, can make a strong comeback in this 150-year celebration of the industry globally. While there are many events planned for August, the country owes a strong policy like the famous communication campaign that has been stuck for the last 10 years. The money collected is touching Rs. 4 billion and now it must be made to work in key markets that require Ceylon Tea brand support. We must make a strong comeback with this initiative just like what Amir did for Pakistan. Pick-up for Sri Lanka: While the Government is under attack for non-performance and poor leadership, at least now with some smart work and by standing behind good financial governance we can turnaround the performance. The first target is to give a solution to the garbage menace in the Western Province and thereby arrest the dengue epidemic. We from the public must support the efforts as already 200 people have lost their lives while most hospitals are at full occupancy. Maybe it’s worthwhile to even now declare a state of emergency for a short duration. Pick-up for Sri Lanka: The weekend media was all on the Board of Directors of Sri Lankan Airlines. Having been a Chairman at three key Government entities, I know how challenging it is to run business and activate policy in a political economy. While many can point fingers and be armchair critiques, the fact remains that the current board is not corrupt or in any way guilty of financial irregularity. Policymakers must stand by such people and maybe support the implementation challenges, but stand by people who practise good governance. Sri Lanka requires this support. (The writer is an avid sportsman, award-winning corporate personality and respected thought leader. He can be contacted at rohantha.athukorala1@gmail.com. The thoughts shared are strictly his personal views and have no links to the organisations he serves).